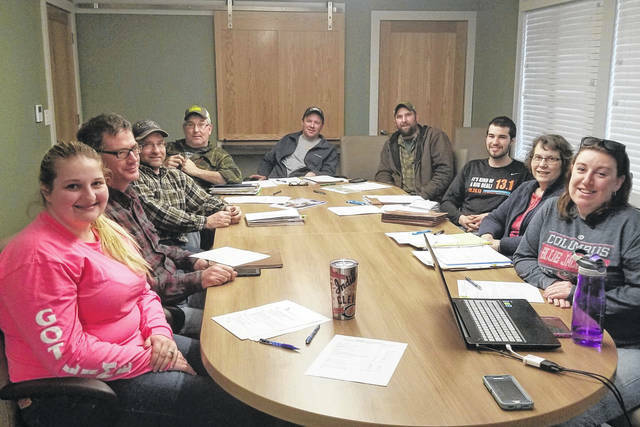 BUCYRUS — The Crawford Soil and Water Conservation District nominating committee is searching for qualified candidates who are interested in serving on their board of supervisors. Supervisors are public officials responsible to the people of Crawford County. They serve in a voluntary capacity for a three-year term and are responsible for directing the activities, programs, and financial resources of the Crawford Soil and Water Conservation District. Supervisors should have an interest in conserving our natural resources and agricultural conservation. Candidates must be a minimum of 18 years of age and reside in Crawford County. The individual should be available to attend twelve monthly meetings as well as approximately eight other meetings throughout the year including special board meetings, plus two all-day training meetings. Any person that is 18 years or older and resides in the county can petition to be a supervisor candidate by obtaining at least 10 valid signatures on the SWCD Candidate Nomination Petition form. This form is available from the district or from the Ohio Department of Agriculture web site under the Division of Soil and Water Conservation forms section. It must be returned to the SWCD office 35 days prior to the annual meeting date which is July 26, 2018. This year one (1) Crawford SWCD supervisor will be elected to a three-year term of office commencing January 1, 2019. The term of current supervisor Paul E. Hartschuh will expire on December 31, 2018. Contact the SWCD office at 419-562-8280 extension 3 for more information if you are interested in serving in this vital role for directing Crawford County’s natural resource efforts.